General or "other" jobs are employment opportunities that don't necessarily make up a major industry sector. In South Africa these opportunities mainly come in the form of security staff jobs, au pair jobs, driver jobs and cleaner jobs. These jobs can fall within any type of industry such as hospitality, construction, banking, and finance and information technology. General employment is relatively easy to come by as the skills necessary are minimal. People who are employed in a general capacity are usually trained on the job, meaning that they require no experience beforehand. This is exceptionally helpful considering the high unemployment rate in SA today. 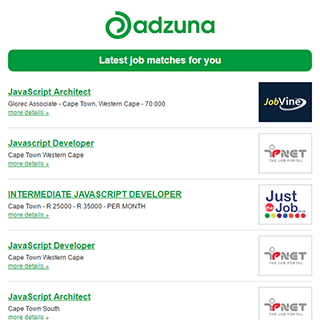 Get the latest Other/General Jobs in South Africa delivered straight to your inbox!